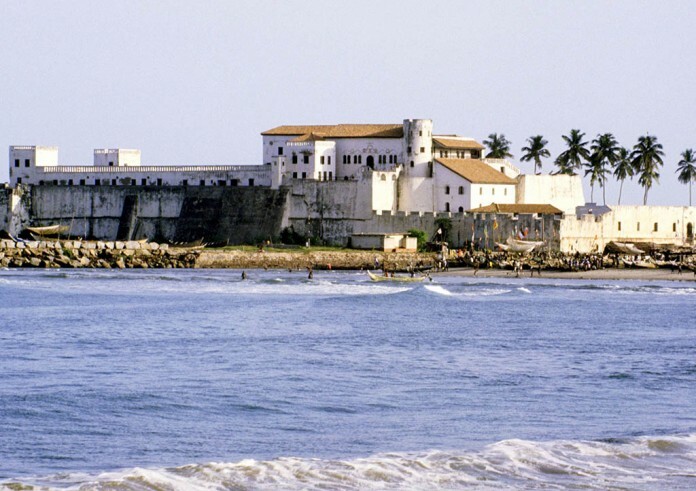 The St. George’s Castle Museum is located within St. George’s Castle (often called ‘Elmina Castle’), a fortress in the Central Region. This museum was established in 1996 through the joint efforts of GMMB, the United States Agency for International Development and the Mid-West Universities Consortium for International Activities. The purpose of the museum is to educate the public on the history of St. George’s Castle, as well as to preserve the cultural heritage of the Central Region. Exhibits include: photographs representing the images of St. George’s Castle across the centuries; displays on the Asantes of Elmina, and on local trading activities with the Europeans; gold weights; shackles; murals; local textiles, stools, stone implements, ceramics, bottles, clay, glass and beads. The museum provides tours of St. George’s Castle. Visitors may absorb the sights of the former storehouses and slave dungeons, chapels and governor’s chamber. Another scene of interest is the cell where a King of Asante was once held prisoner.